The Bible is not meant to be taken "literally"
The very invention of science itself was in the face of religious opposition. Studying the world was considered a waste of time, or at worst forbidden sorcery. A succession of Popes issued orders forbidding the study of nature, and even supporting the killing of those who did. Theologians like Aquinas championed a useless mix of armchair philosophy and scripture-quoting theology, while the experimental method, the only actual source of knowledge, was forbidden for centuries. The theologian Bonaventure had the heroic pioneer of the modern world Roger Bacon forbidden from teaching in 1257. Bacon, worth a thousand disposable medieval pseudo-scholars like Bonaventure or Aquinas, was imprisoned for 14 years. The Warfare Of Science With Theology (1896) by Andrew Dickson White (and version with footnotes and here and other copies). An interesting book, but rather spoilt by his constant (and unfounded) assertion that science is not in conflict with liberal theology. Marco Antonio de Dominis was tortured and murdered by Rome in 1624 for his investigations in the phenomena of light, in particular because of his explanation of the rainbow. The erection of lightning rods was opposed. By c.500 BC, the Pythagorean school in ancient Greece had come to believe that the earth was round. Cecco d'Ascoli was burnt alive by the church in 1327 for daring to suggest that men may live on the other side of the world. The church has revised its earlier opinions and now believes that the earth is round. Around 1513, Copernicus first wrote down his discovery that the earth goes round the sun. This discovery, one of the greatest in the history of human thought, would be violently opposed by ignorant Christian churches for the next three hundred years. The philosopher and dreamer Bruno was burnt at the stake by Rome in 1600 for daring to suggest that the earth goes round the sun. The weasel words of the Catholic Encyclopedia. The persecution of Galileo - This great human thinker was imprisoned, threatened with torture, and forced to recant his beliefs because they disagreed with Christian superstitions. The thinker and writer Campanella was tortured for subscribing to the Copernican theory. While the Catholic opposition to Copernicus is well known, less well known is the violent Protestant opposition to Copernicus' evidence that the earth goes round the sun. Apparently, though, the Protestant churches now believe that Luther, Calvin and Wesley may have been wrong, and the earth may in fact go round the sun. The idea that the earth goes round the sun was explicitly prohibited in the church's Index of banned books in 1616 under Paul V, again in 1664 under Alexander VII and again in 1761 under Benedict XIV. Unbelievably, the Copernican theory remained on the Index until 1835. Apparently, though, the church now believes that the earth may in fact go round the sun. One of Giordano Bruno's supporters ends with the words: The "Church" will never outlive him. - Interesting point. After all, who now worships Zeus? Yet we still revere the ancient Greek philosophers. Humanity's gods are mortal and temporary, and fade over time as new memes arrive. Mathematicians and scientists and philosophers are immortal, and transcend religions and cultures. The movie Giordano Bruno (1973). As pioneering scientists in Europe and America in the 18th and 19th centuries discovered that the Flood never happened, the Earth was not just a few thousand years old, animals had existed for millions of years before humans, and the Garden of Eden and Adam and Eve never existed, religious people had to come up with an explanation as to why such nonsense was in their holy book. Their first reaction was spluttering denial of science, as in Pope Pius IX, who called the descent of humans from non-humans "a tissue of fables". But soon they had to come up with better replies. The one they settled on was that these stories aren't meant to be taken "literally", but rather are myths or allegories. Only a simple-minded fool would think these stories were meant to be literal history. Jesus believes in Noah and the Flood. Paul believes in Adam and Eve (also here). The author of Hebrews believes in Noah and the Flood. Peter believes in Noah and the Flood. All of these people, including Jesus, would have been very surprised if you pointed out to them that these are just stories, not meant to be taken "literally". Some religious thinkers claim that taking the Bible literally is in fact a recent invention, that in the distant past it was always treated as myth and allegory, not as history. I don't believe this, but I am open to persuasion. If you believe this is true, show me any quote from any Christian thinker before 1700 saying that some Bible stories are just myth or allegory, and aren't meant to be taken literally. Not an atheist or deist. And not a heretic who was persecuted/executed. A mainstream, accepted, Christian thinker - because you claim it was mainstream to think this way in the past. Send quotes to me here. I think I was wrong, to some extent. Allegorical interpretations of Genesis collects some interesting quotes. More here. Origen (3rd cent. AD) denies the Garden of Eden existed: "Who could be so silly as to think that God planted a paradise in Eden in the East the way a human gardener does, and that he made in this garden a visible and palpable tree of life ... I do not think anyone can doubt that these things, by means of a story which did not in fact materially occur, are intended to express certain mysteries in a metaphorical way." He denies the world was made in 6 days: "we found fault with those who, taking the words in their apparent signification, said that the time of six days was occupied in the creation of the world". Does Origen deny the existence of Adam and Eve? Send quotes to me here. It should be noted that Origen was declared a heretic by the church in the 6th cent. AD. Does anyone apart from Origen state clearly that the literal meaning may be false? Something like: "The Flood may never have happened" or "Adam and Eve may never have existed". It is true that other ancient Christian thinkers considered "6 days" as indeterminate periods of time, but this is not as dramatic as saying that some event never occurred at all. Did anyone apart from Origen say that? Send quotes to me here. Jesus and the New Testament authors did not know these stories (the Flood, Adam and Eve, etc.) were allegories. The fact that Jesus did not know they were allegories is strong evidence he was not a god. Views like Origen's were not mainstream. I would still claim that if you went back before 1700 and told almost any Christian cleric or layperson on earth that the Flood never happened, they would be very surprised. I would imagine, for example, that every single Pope before 1700 believed the Flood happened. Is this true? Send quotes to me here. In the end, it turned out that none of the world's religions knew any more about our origins than Norse Mythology did. See full size. From The Pain - When Will It End?. In 1844, Darwin first wrote down his discovery that humans arose from other animals by a natural process. The obvious consequences are (a) that humans are physical things, the soul is mythology, and there is no afterlife, and (b) therefore our destiny is to discover how the brain works, and then to become immortal on earth. This discovery, perhaps the greatest ever in the history of humanity, is still opposed or watered-down by ignorant churches of every creed today. For almost all of the history of Christianity, the church preached that the earth was less than 10,000 years old. Apparently, though, the church now believes this is completely wrong. Lucilio Vanini was burnt alive in 1619 for daring to suggest that man has risen instead of fallen. Isaac La Peyrere was imprisoned, and his book burned, for claiming in 1655 that humanity must be older than Genesis implies. The pioneer naturalist Buffon was humiliated by the Church in the 18th century, and forced to declare "that I had no intention to contradict the text of Scripture". The anti-science views of John Wesley, founder of the Methodist church. Even though it was the 18th century, this ignorant man supported a raft of beliefs that would not be out of place in the Middle Ages. He disputed that the earth goes round the sun. He defended the witch superstition (admittedly after most of the murder had ceased). He believed that disease and insanity are caused by demons. He held the obscene belief that earthquakes are God's vengeance for human sin. Mainstream church opposition to Darwin in the 19th century. See the quote from the ignorant Pope Pius IX, who calls the descent of humans from non-humans "a tissue of fables". Guinness ad: "noitulovE" ("Evolution" backwards). It gets our actual ancestry all wrong, but is still great. It is actually quite moving, if you think how far we have come and how long we have struggled. See the ad nicely reversed. Search for clips of noitulovE and Evolution. I sum up my thoughts about Darwin. How come neither Jesus, Moses or Muhammad had any clue where humans came from? I have never heard a Christian give solid answers to these questions. Ever. And I have been asking them my whole life. Disease is caused by sin (also here). Insanity is caused by demons (also here). Pope Boniface VIII caused the outlawing of dissection for more than two centuries. The invention of anaesthetic in childbirth was opposed (because of this passage). In 1591 a mother was burned alive for seeking pain relief from childbirth in Edinburgh. The Catholic church bans contraception, essentially because it is new. The Christian "Scientists" still deny the germ theory of disease, simply because it is new. The Jehovah's Witnesses refuse blood transfusions, even unto death, because they are new. And it is not just ignorant religious groups. The Green movement threatens science and medicine today. At one end are the violent animal liberation terrorists, costing human lives by stopping medical research. At the other end are politicians of all parties making laws to artificially restrict medicine because of their own prejudices. For example, the supposedly secular state has made human cloning a crime, again basically because it is new. 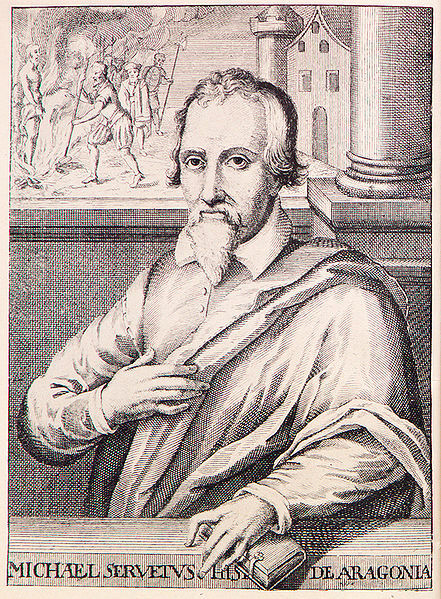 The medical pioneer Michael Servetus was burnt at the stake by John Calvin in 1553. Science means life. 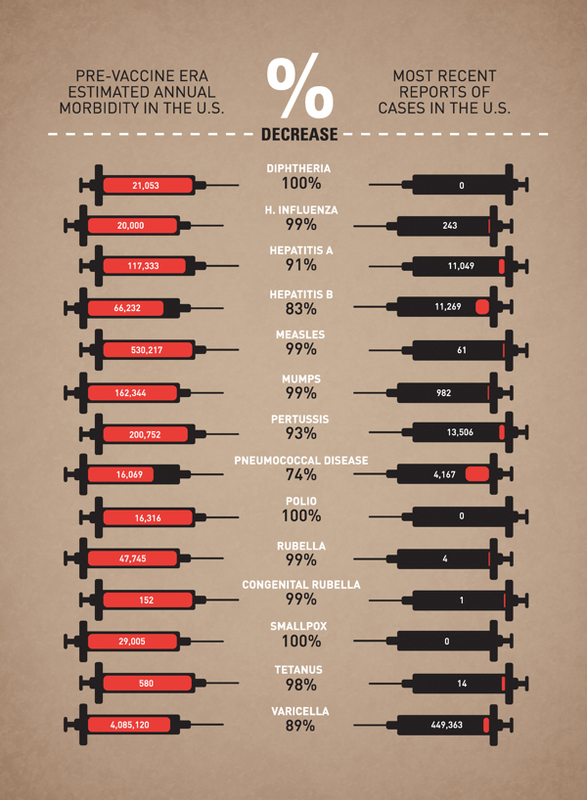 Lack of science means death. The conflict between science and religion continues today. The major area of conflict today is probably brain science and artificial intelligence. Religions are simply in denial about the consensus in modern science that the mind is a physical machine and the soul does not exist. Rocks of Ages contains his idea that religion and science occupy Non-Overlapping Magisteria, and are not in conflict. When Religion Steps on Science's Turf: The Alleged Separation Between the Two Is Not So Tidy - Richard Dawkins comments on Gould's "Non-Overlapping Magisteria". I'm on Dawkins' side. It seems to me that religion and science have always been in conflict, and still are in conflict (for example, on the workings of the mind and free will). It seems to me that Darwinism does lead naturally to atheism. It seems to me that religion has no domain in which it is qualified to tell us things about the world. God and Evolution - Similar bland, unsubstantiated assertions about the value of science and religion, by Warren Kurt VonRoeschlaub. Dawkins' hilarious parody of Gould's tedious (and incomprehensible) baseball analogies. The idiot Archbishop of Canterbury, Rowan Williams show us his complete lack of understanding of nature (making a change from showing us his complete lack of understanding of politics). "God doesn't do waste", he asserts, Jan 2008, ignoring the unbelievable waste of 3 billion years of slow, painful, evolutionary selection and extinction. Lives are wasted by the trillions in nature. Beautiful species are snuffed out in pointless mass extinctions. Billions of intelligent, sensitive humans have died young and in pain. Uncountable human potential has been squandered and lost because of nature's cruelty and indifference. And Rowan Williams understands none of it. Humani generis (1950), an encyclical of Pope Pius XII, claims that Adam existed. See text: "original sin, which proceeds from a sin actually committed by an individual Adam and which, through generation, is passed on to all and is in everyone as his own." "Truth Cannot Contradict Truth" (also here), address by Pope John Paul II, 1996: "theories of evolution which, in accordance with the philosophies inspiring them, consider the [mind] as emerging from the forces of living matter or as a mere epiphenomenon of this matter, are incompatible with the truth about man." This is a scientific assertion, an assertion about the physical universe. And it is wrong. "Communion and Stewardship" (and search), issued by the International Theological Commission under the future Pope Benedict XVI, 2004, makes more scientific assertions: "An unguided evolutionary process - one that falls outside the bounds of divine providence - simply cannot exist." The limited intellectual standards of Christian theology are illustrated well by the Catholic Encyclopedia entry on atheism, which refuses to even take atheism seriously. The fact that God may not exist at all is a taboo that is clearly lurking beneath the author's mind, as he furiously fights all his life against ever for one moment entertaining it. The Vatican, always at the cutting edge of human thought, declared in 1992 that the earth may go round the sun. Then in 1996 these pioneers of human knowledge declared that life on earth may have evolved. Most "theologians" have pre-scientific minds. They still fail to understand how nature really works. 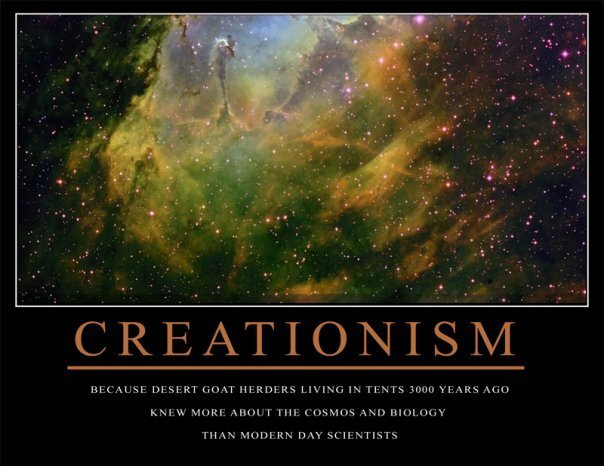 They fail to understand the ideas of evolution that were introduced in the 19th century. James Mackey provides a particularly ignorant example of this. Dawkins's survival of fittest theory unfit to serve as moral code for human race, James Mackey, Irish Times, 19 July 2011. An appallingly ignorant article by Irish "theologian" Prof. James Mackey that simply assumes Dawkins and Darwin think evolution is a good thing, and human society should be run according to survival of the fittest. Of course, no quotes by Dawkins or Darwin are ever presented to show they allegedly believe this. How does such rubbish get printed? A comment says: "This series has been truly appalling, and is a blot on the record of The Irish Times. ... This is the sort of opinion piece that belongs in the Alive magazine, not in a reputable national newspaper." Prof. James Mackey's attack on Richard Dawkins ("Dawkins's survival of fittest theory unfit to serve as moral code for human race", 19 July) is based on a gross error. He attacks Dawkins for saying human society should be run by survival of the fittest. But oddly, no quote is presented showing that Dawkins believes this. 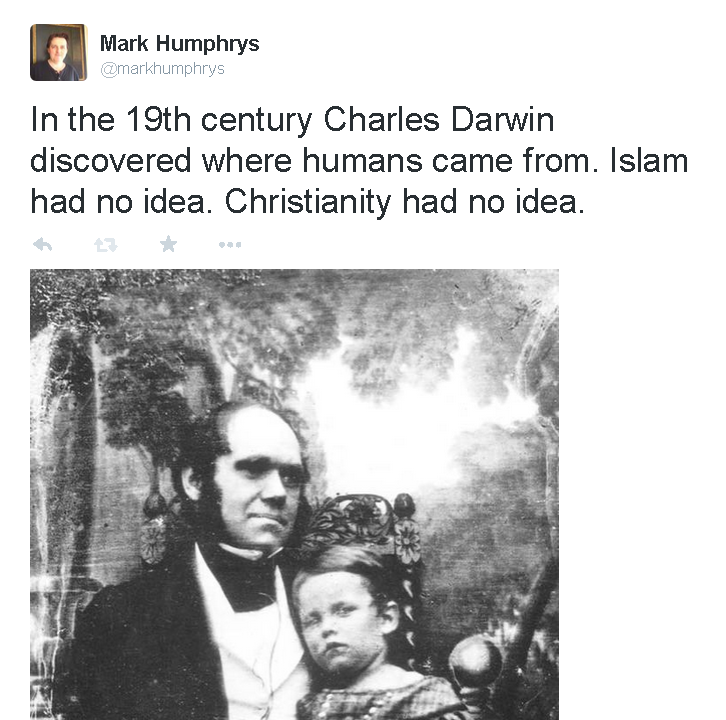 Mackey also claims Darwin believed this. But again no quote is presented. In reality, Dawkins and Darwin never said what he attributes to them. They say that evolution is how nature works, not that it is good. Society can simply ignore nature and run itself along entirely different lines - such as taking care of the weak. This is fine with Darwin and Dawkins. The very conclusion of Dawkins' book, The Selfish Gene, is a call to rebel against evolution: "We have the power to defy the selfish genes of our birth ... We are built as gene machines ... but we have the power to turn against our own creators. We, alone on earth, can rebel against the tyranny of the selfish replicators." And Darwin often expressed horror at his discovery of the brutality of nature. In 1857 he said: "What a book a devil's chaplain might write on the clumsy, wasteful, blundering low and horridly cruel works of nature!" It is fairly outrageous for Mackey to attribute ideas to Dawkins and Darwin that they never expressed. And equally absurd for a theologian to sneer at the unifying theory of biology, given biology's mountain of evidence and long track record of successful predictions. The fact is that many religious people have the same problem as Mackey (e.g. Jesus in Luke 12:24, who thinks God feeds the birds). They cannot get their heads around the idea that nature is cruel and brutal and we should not copy it. The really impressive "science" in the Quran.